Childhood artwork often cycles from fridge frames to closet clutter faster than relatives can say, “Look how tall you’ve grown!” Instead of banishing my cherished drawings and paintings to the attic to collect dust, I compiled my proudest masterpieces into a beautiful book that doubles as a delightful coffee table tome and nostalgic keepsake. With the help of my awesome mom (she kept every charcoal drawing and handmade bookmark), we scanned art pieces that my sister and I created over the years: favorite mermaid masterpieces, a Hawaiian sunset painting, a watercolor of cats sailing a boat (you know, as cats do), and more. I chose to create an 8×8 Premium Layflat Photo Book. This gave my art collection a slick portfolio feel, thanks to its extra-thick premium paper and seamless layflat binding. Who says kid art can’t be gallery quality? 1. Scan + edit artwork: Scan your favorite art pieces. You can always pare down the collection later. If some don’t make the book cut, you’ll still have a digital copy of them. If you don’t have a scanner, don’t fret; many office supply stores offer scanning services. 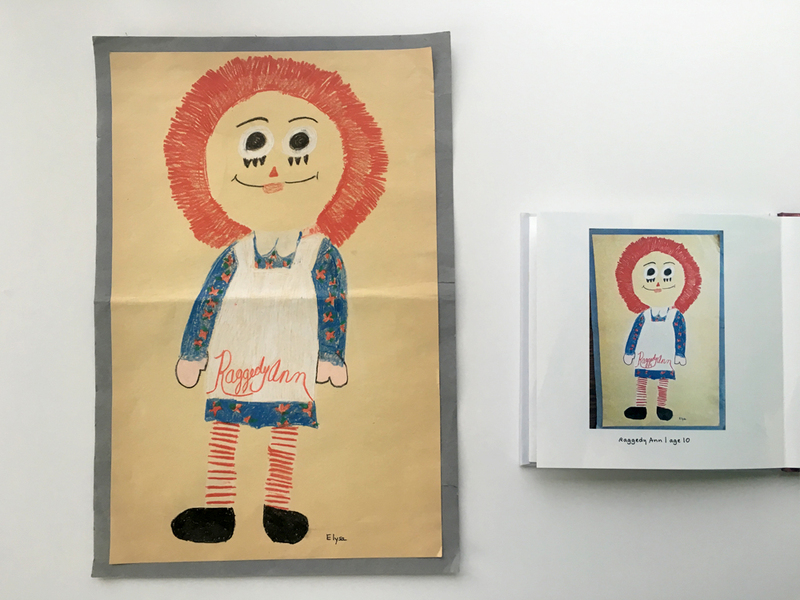 If art is too large to scan (like this Raggedy Ann crayon masterpiece), take a photo from a bird’s eye perspective. Upload into a photo editor and crop to desired size. Play with contrast and brightness to achieve the same vivid color in your art piece, like I did in the below sunset painting. 2. Select layout + caption: Display one painting or drawing per page to achieve a crisp portfolio aesthetic. Choose your favorite 1-photo layout, or just drag-and-drop your photo onto the page. Caption each photo and include age and year the artwork was completed. Use the same font throughout for uniformity (I opted for a kid-like scrawl). 3. 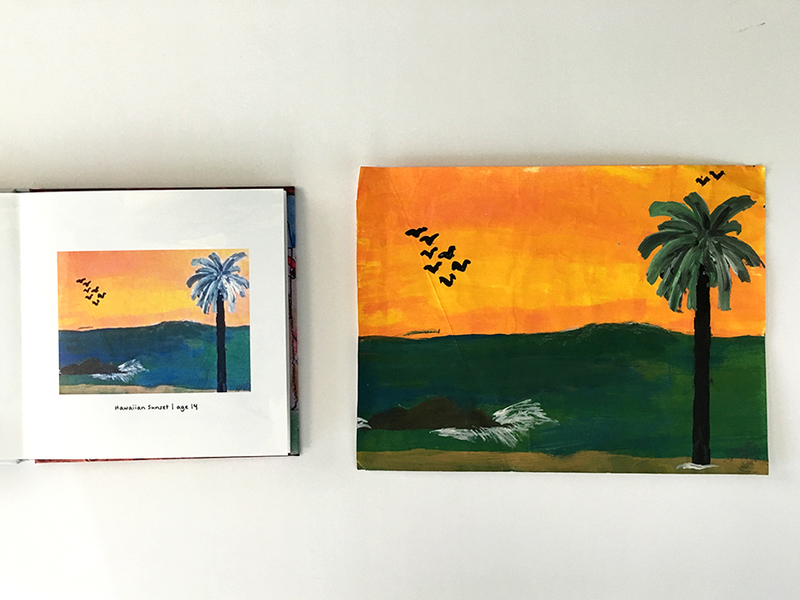 Create cover + spine: Feature your favorite paintings in a collage layout on the cover (see above), and include a photo of the artist, too! Add the year(s) to the spine to label each album. Give this page-turning walk down memory lane a go, and start creating your photo book! 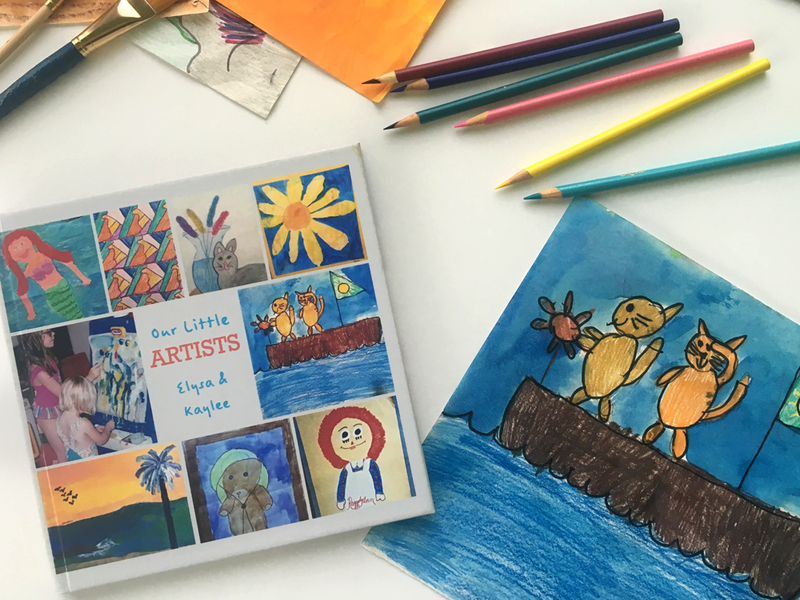 We’d love to see your childhood sketches, so tag your photo book with #Snapfish on Instagram to share. This is a fantastic idea. 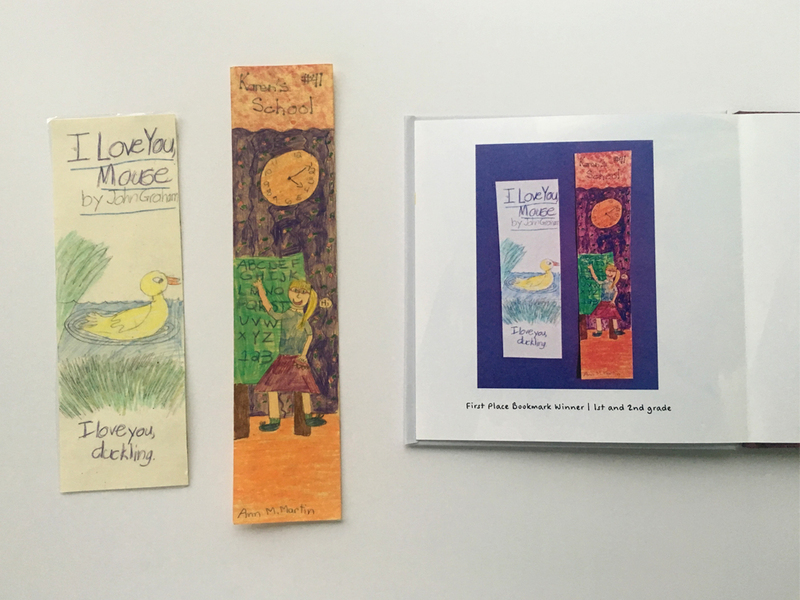 I have held onto all of those special pieces of artwork by all 4 of my sons. I know this will be one of my New Year projects. Mothers of young children take a tip from a 58 yr old first time grandma…keep your son’s and daughter’s artwork — 2D or 3D — don’t throw it away when they reach their 30’s like I did. Learn how to create a Photo Mug on your phone!